Will (Willie) Allen was one of the most prolific centers the Miami basketball program has seen. Though he often went up against much taller competition, Will used his 6-foot-6- inch, 230-pound frame to muscle his way to the basket or to get rebounds. He came to Miami from Rockville, MD, where he averaged 25 points and 23 rebounds as a senior to lead Richard Montgomery High School to the state title and was named All-State and a High School All-American. After playing on the freshman team in 1967-68, as freshman were not allowed to play varsity then, he played alongside the scoring machine UMSHoF member and All- American Don Curnutt for two seasons (1968-69, 1969-70). The first African American to play basketball at Miami, Allen was nicknamed the Rockville Cyclone who, as a sophomore, was second on the team with both 14.7 points and 11.7 rebounds per game. He turned in a 31-point performance against Stetson and grabbed 21 rebounds against Tampa. He backed that up his junior year by averaging 17.5 points and 12.3 rebounds per game. As a senior in 1970-71, Will became the main man for the Canes, leading the team with a 19.1 points and 12.2 rebounds per game. He ended his career at Miami with 1,293 points, at the time the most by any center and 6th overall. Amazingly, now 45 years after he played his last game at UM, Will’s 916 rebounds are still the second-most ever by a Hurricane and his 28 games of 20 points or more is 10th all-time. In 2010, he was named Miami’s ACC Legend. 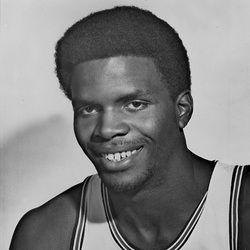 Will graduated Miami with a Bachelor of Arts in Physical Education degree and was drafted in the 4th round (60th overall) of the 1971 National Basketball Association Draft by the Baltimore Bullets. He chose instead to play for the Miami Floridians of the American Basketball Association, and overseas in Belgium. Upon his basketball retirement in 1977, Will and his wife Cynthia, also a UM graduate, moved to her hometown of Milwaukee. After a career in marketing, Will in 1993 purchased a derelict nursery in foreclosure called Growing Power, and a 100-acre farm in nearby Oak Creek. From there, he began a career as an urban farmer, turning Growing Power into an organization that has 40 employees, 13 farms and feeds 10,000 underprivileged persons every year. One of the world’s preeminent practitioners of urban agriculture, Will was awarded the 2008 MacArthur Foundation “Genius Grant” and in 2010, Time Magazine named him to their list of “The World’s 100 Most Influential People.” Allen was the 2011 recipient of the Theodore Roosevelt Award, the highest honor bestowed by the NCAA and was enshrined in its Hall of Champions. He received an honorary Ph.D. in Agriculture from Miami in 2012. Will and Cynthia have three children, Erika, Jason and Adriana, and five grandsons, Ayo, Jason (JJ), Jet, Jonah and Holden.